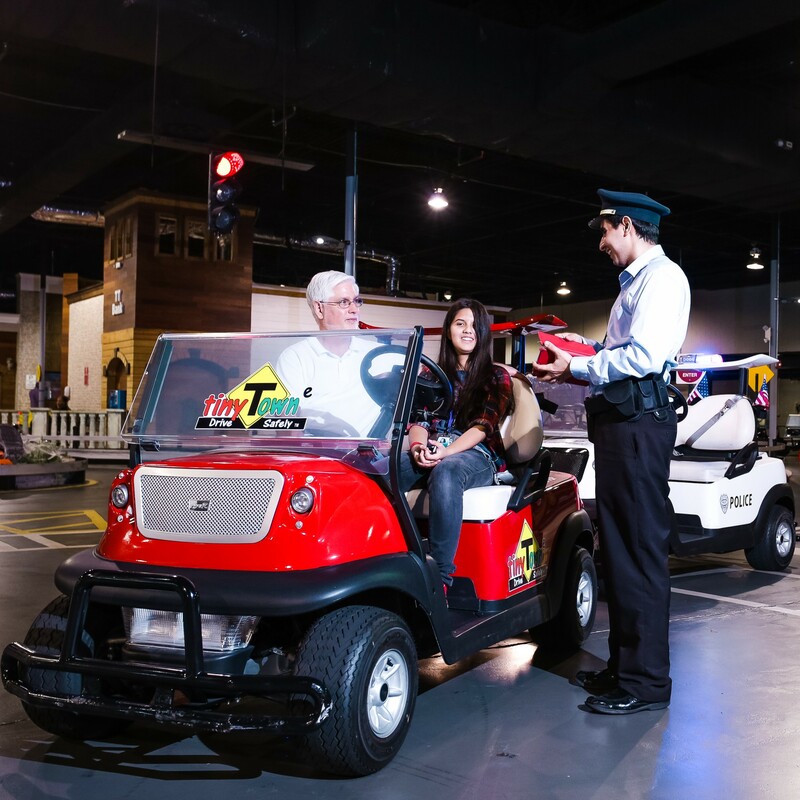 Tiny Towne offers a wide range of resources to teach drivers the rules of the road, ranging from classroom instruction to interactive programs, as well as realistic tracks for driving practice. The Interactive Model, located between the two classrooms, is a high tech educational resource with about 300 mini toy cars on a road plan of about 20 sq ft. It allows young drivers to observe the road system and comment on where violations are taking place or where road signs are missing. The computers around the model are equipped with an interactive program where visitors are asked to answer questions about the scene they are observing. At Tiny Towne, we have developed unique computer programs for young drivers to reinforce their knowledge of driving facts and rules through games, as well as to test their knowledge and to advance to the next driver’s permit/license level. These programs are accessible in the computer lab at the facility, and Tiny Towne members can also access their profile and the activities at home. The simulators at Tiny Towne allow young drivers to practice their skills in a variety of scenarios. For example, drivers can choose to drive a manual or automatic car, and they can experience driving in various conditions, including driving in bright sunlight, rain, or snow, in the daytime and nighttime, and on city roads and highways. Everyone can drive at Tiny Towne! From toddlers in car-shaped kiddie rides to teens on the advanced Tiny Towne track, we have activities to meet the needs of every age group and level of experience.